BOW DOWN BEFORE THE GODS! 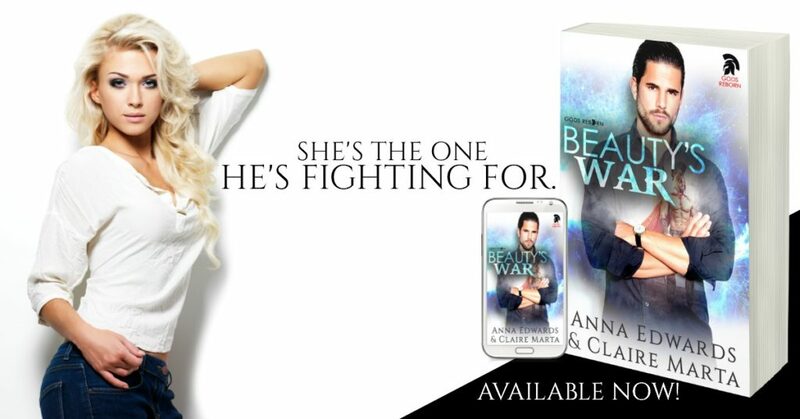 Beauty’s War by Anna Edwards & Claire Marta is AVAILABLE NOW! I thought I knew who I was. A girl from Devon with a love of drawing. A trip to Rome shows ancient forces at work, which I never knew existed. Beauty in my world has died. Can he save me from the encroaching darkness? I’m the God of War. If I want something I take it, such is the power I wield. Is it really possible for a human woman to bring me to my knees? History tells us of mighty Gods that once ruled the Earth. What it doesn’t say is that over time their powers were suppressed by hatred, violence, and suffering. Many have forgotten their true nature, and those that remain behind strive for balance in a modern world. 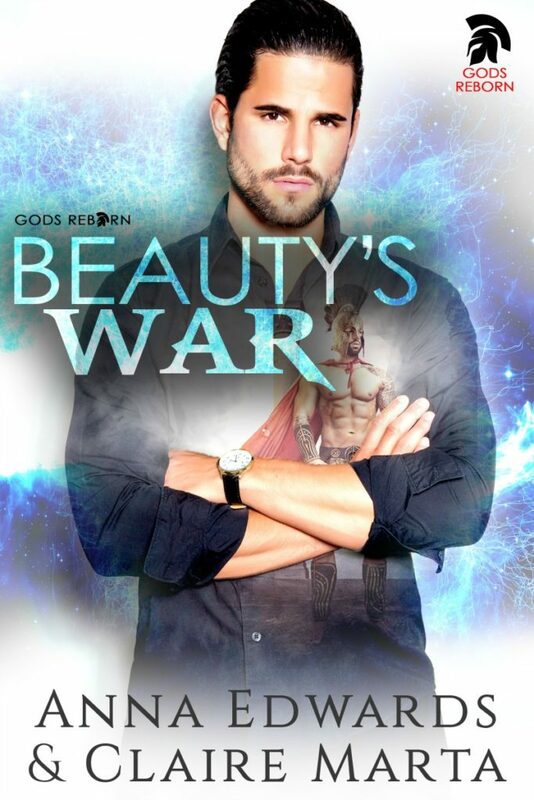 Welcome to the Gods Reborn Series, a place where emotions can destroy a planet, supremacy is the ultimate goal, and the possibility of love can change everything that you know forever. Anna hails from the rural countryside near London. She previously worked as an accountant, and while she still does a bit of accountancy on occasion, the majority of her time is now spent writing and looking after her family. An avid reader herself, Anna turned to writing to combat depression and anxiety after her diagnosis in 2015. 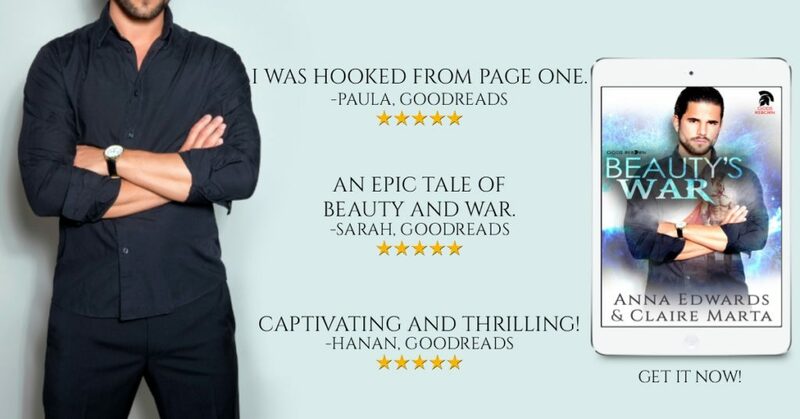 She loves travel, hunky heroes with dirty mouths, demure but spunky heroines, and dramatic suspense. You will find all four woven into each of her magical stories. Claire has a passion for writing and finally took the plunge getting published. She has always been a fan of everything paranormal, especially romance books. A native Brit, she lives in Italy with her husband and daughter. When she is not writing and drinking copious amounts of tea, she enjoys taking photos of her adoptive country, trying to stay fit with running, reading amazing books and being a stay at home mother.